What was once favorited by clowns, is now favorited by trendsetters and street style gurus everywhere. Mixing patterns is the new thing. Shocked? So was I a bit, but when I tried it, I actually really liked it! Below I am showing you how to create a version of my look, plus some other great ways to mix patterns for whatever the occasion may be. Im my photo I am carrying a bag from BOYY. It’s my new favorite brand of handbags and quickly growing as a favorite in the fashion world as well. It’s a bit of a splurge, but if you don’t mind spending the extra dough on a good bag that goes with almost everything you own, I highly suggest this be the one. It comes in lots of color and size options, including the clutch version that is featured in theist look of this article. Because of the fabric and fit, my look was super comfy and laid back feeling, but throw on a pair of heels and you’re ready for a nice lunch or dinner. Get This Striped Cold Shoulder Top For $89.00 Here. 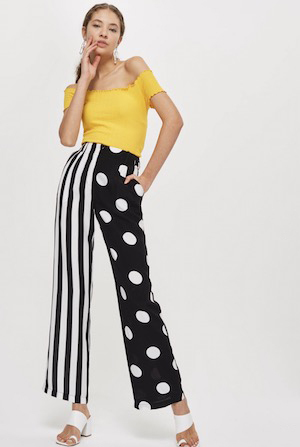 Get These Striped & Polka Dot Combo Trousers For $85.00 Here. 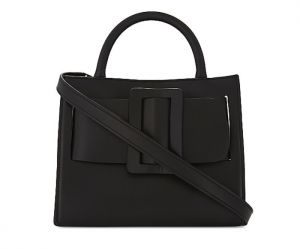 Get This Bobby Bag From BOYY For $1,300 Here. Get This Polka Dot Top For $15.90 Here. 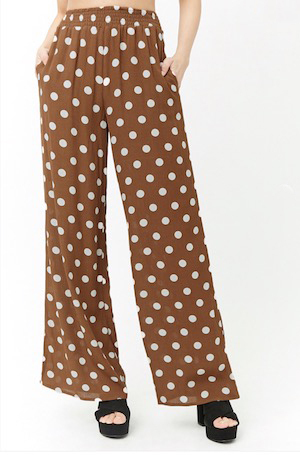 Get These Polka Dot Pants For $15.90 Here.